The Orangerie in Bargrennan, near Glentrool sleeps 2 people. 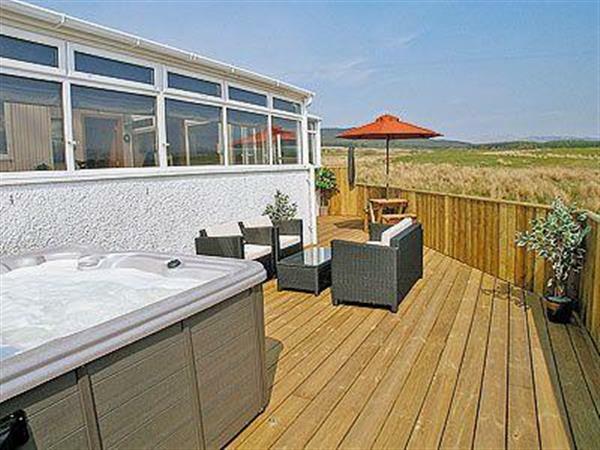 In the heart of Galloway Forest Park, one of the world’s few ‘Dark Skies Parks’, this unique, detached barn conversion, with private home pub and private deck with American hot tub, boasts spectacular views over the Galloway Hills. With over 2800 square miles of coastline, forests and mountains, and wildlife, walking and cycling on the doorstep, this secluded holiday escape has easy access to outdoor pursuits. Tour of the owners’ smokehouse on request. Shop 8 miles, restaurant/pub 1½ miles. Living room/conservatory with dining area, electric ‘coal-effect’ fire, panoramic countryside views. Open-plan kitchen with home bar. Double bedroom. Shower room with spa shower and toilet. For a better idea of where The Orangerie is, you can see The Orangerie on the map below. Do you want to holiday near The Orangerie (STTT), you can see other cottages within 25 miles of The Orangerie; have a look to find your perfect holiday location.